Welcome to the first #birdbellfamily post. This series will introduce you to other couples in the Birdbell family as we grow. Want to share your story with us? Awesome! Send us an email to hello@birdbell.com and we’ll send you the details. Brett and I had been dating for nearly 10 years when he finally asked me to marry him. Over that time, we had lived in 4 states together, worked multiple jobs, seen most of our friends get married, and even started a business together. We met in college through mutual friends. Officially, Brett remembers meeting me before I remember meeting him. But, the night it really all started was when we went swing dancing with a group. Neither of us are great dancers, but we had so much fun. Our relationship started out as a friendship and by the time we shared our first kiss, over a month after that first night, he had my whole heart. Brett asked me to marry him while hiking on a glacier in Argentina. We love traveling and this trip to Brazil and Argentina was perfect. We had been out all day and just stopped to look at an under-ice waterfall. It was one of the coolest things I had ever seen. As our tour group started walking away, Brett called me back, got down on one knee and asked me to be his wife. How did you celebrate your engagement? That night, we invited the other hikers out for dinner. We celebrated with sparking wine and I can’t help but pick up a bottle of the same wine when I see it at the store. It’s not extremely common so I get to celebrate each time I find it. Because we did not have great Internet service in southern Argentina, we had to wait until we traveled back to Buenos Aires to call our parents. We got all four of them on video chat and showed them a slideshow of our hike. The pictures ended with Brett on one knee. Our dads knew, but both of our moms were really surprised. The looks on their faces was priceless. Location: We got married on Isla Mujeres, a small island off the coast of Cancun in Mexico. I always wanted to get married barefoot on the beach and the hotel we chose had a private beach. Score! Number of guests: It was a small wedding with only 35 people. There were some people I wish could have made the trip, but I loved being able to spend quality time with those that were there. Number of attendants: Kept it simple with 2 bridesmaids and 2 groomsmen. 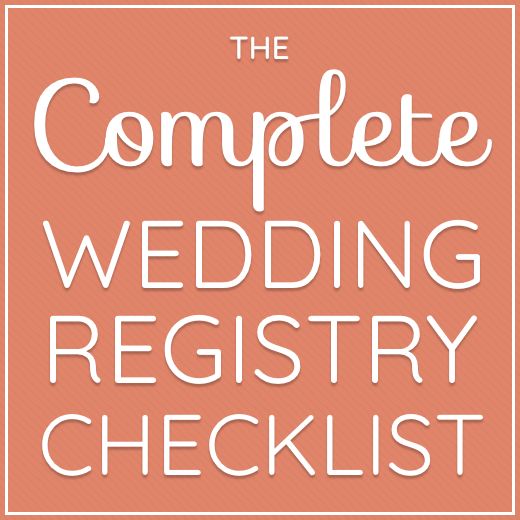 Favorite item on your wedding registry? I honestly have to say it’s our KitchenAid Stand Mixer. It’s such a workhorse and I love how I can use it for everything from making cookies to shredding chicken. Any tips for wedding planning? We did a ton ourselves, including the flowers the day of the event. My advice would be to ask for help when you need it and not to sweat the small stuff. The people around you on your big day love you and are there to celebrate your marriage. I think it might be building things together. Our first company, an online rent payment software for small landlords, was such a learning experience for us that we decided to do it again. That’s what brings us to Birdbell today. We’re launching this business to help couples on their wedding day. It’s about love, happiness, and commitment and we feel very fortunate that we get to be part of your lives. Prefer to cook or dine out? We cook at home almost every night. Sitting around the table enjoying a meal as a family helps anchor our days and connect in this busy world. Chicken enchiladas with homemade salsa. Deanna’s is a dirty vodka martini with blue cheese olives. Brett’s is an old-fashioned made with dark rum instead of whiskey. I love that we get to create our life together. It’s been almost 7 years since our wedding day and we are still in love. Adding a precious (witty, shy, and sometimes spoiled) daughter to the mix has been awesome too. Seeing both of us in her is amazing and terrifying all at once, but I wouldn’t change any of it. Want to become part of the #birdbellfamily and share your story with us? Drop us a line at hello@birdbell.com. We can’t wait to get to know you better!